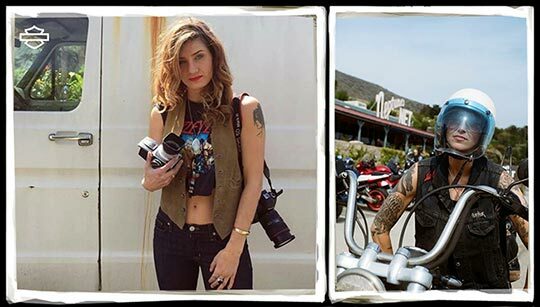 Harley-Davidson is currently celebrating the strong and confident women who ride a motorcycle by supporting renowned photographer and motorcyclist Lana MacNaughton and the Highway Runaways Ride. Distinguished for her “Women’s Moto Exhibit,” MacNaughton is leading four of her closest female friends on a cross country Harley-Davison motorcycle journey that started July 3 from The Shop in Brooklyn, New York to end after a four-week tour in San Francisco. The Highway Runaways Ride is inspired by the infamous Avis and Effie Hotchkiss ride in 1915, when the mother and daughter became the first women to ride their Harley-Davidson motorcycle across the U.S. Many women have blazed their own trail in the sport of motorcycling, and MacNaughton leads a modern day celebration of how women riders are unleashing their rebellious spirit and living life on their terms. Like the Hotchkiss ride 100-years ago, the Highway Runaways Ride is also being powered by Harley-Davidson. Specializing in the photography of the modern-day female motorcyclists, MacNaughton has dedicated her career to capturing and revealing the courageous and beautiful women who live to ride. During the 4,500-mile trek, MacNaughton will collect stories from women riders and take photographs of those who share her passion for the open road. “This ride embodies the spirit of strong and powerful women. Riding a Harley is about escaping the authority and the structure of mundane life; running away is our dream and it has now become our reality,” MacNaughton says. Lana and the others have already ridden through the Southeast and are heading west to their final stop. Next stop is Rocky Mountain Harley-Davidson in Denver (today July 22). The Highway Runaways Ride concludes in San Francisco, after logging some 4,500 miles and hundreds of memories. 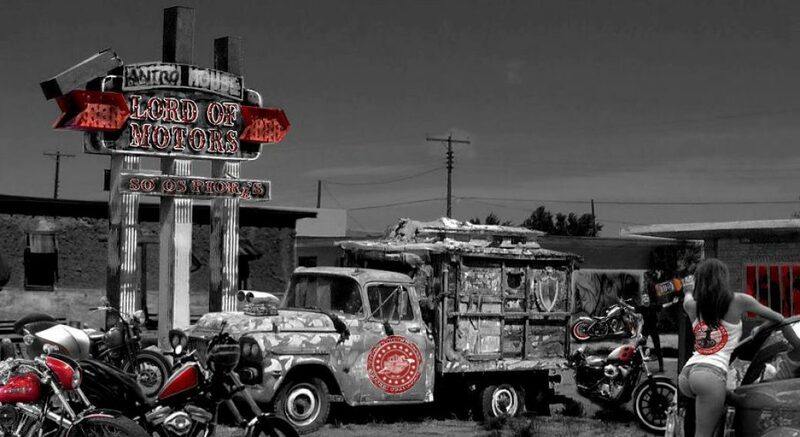 MacNaughton’s Women’s Moto Exhibit is also being featured at the Harley-Davidson Museum in Milwaukee during its Custom Bike Show Weekend, Sept. 4-6, 2015. Lanakila MacNaughton is a Portland based photographer and motorcyclist. She started documenting the many facets of motorcycle culture through her lens shooting in medium format on a Hasselblad CM. MacNaughton is the creator of renowned traveling exhibition “The Women’s Moto Exhibit” documenting the new wave of modern female motorcyclists—revealing the brave, courageous and beautiful women that live to ride. The show promotes a new perception of female empowerment and inspires an independence and liberation through motorcycling. Published by Cyril Huze July 22nd, 2015 in Builders and Events.